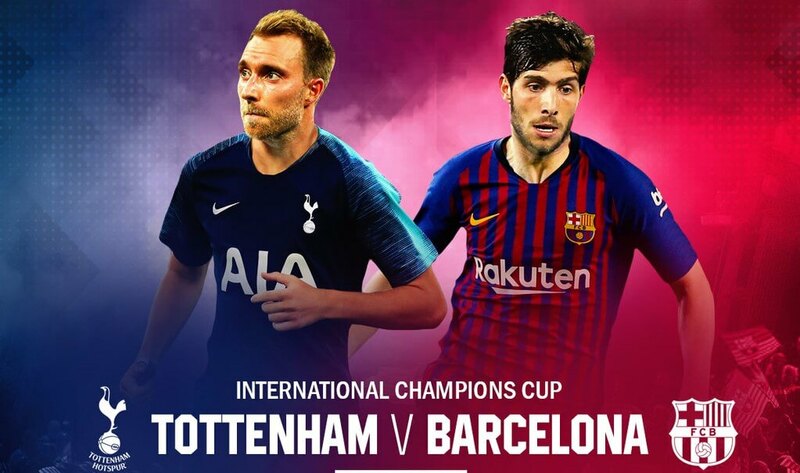 Tottenham combat again from a two goals down to draw 2-2 with Barcelona before falling in a penalty shootout in the International Champions Cup in Los Angeles. Munir headed Barcelona ahead following 15 minutes before Arthur penetrated home one moment to put the Spaniards 2-0 up in the 30th moment. Christian Eriksen shook the post with a 30-yard free-kick before Tottenham got again into the game 16 minutes from time when Son Heung-Min scored from short proximity after Eriksen's underlying shot was blocked. Georges-Kevin N'Koudou at that point leveled a moment later in a goalmouth scramble after Anthony Georgiou had a shot blocked and Son backheeled the ball to N'Koudou who changed over. The game at that point hold up straight to punishments yet Georgiou saw his exertion spared by Jasper Cillessen and Barcelona changed over every one of the five punishments to anchor a 5-3 triumph. Response from Dan Kilpatrick in Los Angeles.Victor Wanyama has come back to London from as Mauricio Pochettino's midfield damage emergency intensified against Barcelona. More stressing than the thrashing was hamstring damage to Moussa Sissoko - the fourth player to be harmed on the excursion after Wanyama, Erik Lamela and youth Tashan Oakley-Boothe.